Although we’re known for fried hot chicken and sugary tea made even sweeter with fruit juice, Nashvillians know how to balance their gluttonous splurges with more health-conscious dishes. It’s not enough to be farm-to-table, organic, or vegan. It’s how you play with your veggies that counts. When you have a city packed with culinary talent, you expect your leafy greens to taste just as delicious as your buttery biscuits. 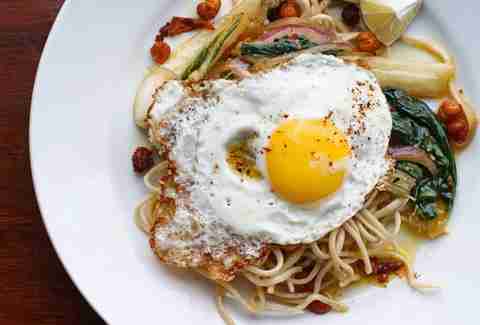 That said, here are 12 healthy restaurants we love. Trust us, your body will thank you. 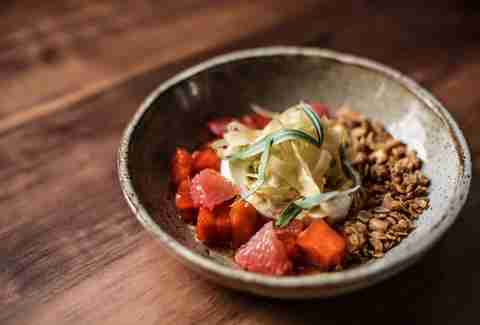 This restaurant not only offers one of the most creative and delicious raw vegan menus, but it's also committed to working with the most sustainable and environmentally conscious local farms and businesses. It also takes top honors for crafting one of the most surprisingly popular cocktails in town: the delicious AVOcado margarita. AMOT serves the East Nashville neighborhood with healthy, Southern-inspired dishes. Its brunch and lunch menu also comes with raw and gluten-free options, and its dinner menu changes daily (it’s chef-inspired) to incorporate the best, farm-fresh ingredients. When they claim it’s vegetarian and vegan food done right, they mean it. Sunflower Cafe has been a staple for veggie eaters since it opened in 2012. Menu highlights include vegan barbecue with gluten-free, house-made buns, and veggie burgers with eight topping combinations to choose from. Try the Arugula Bistro with lemon dijon aioli, or the Aloha with sweet chili pineapple compote. 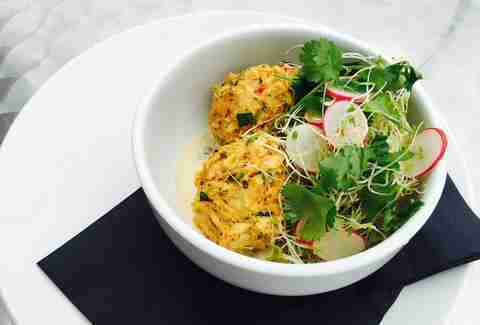 The Wild Cow serves raw, vegan food that’s as good for the body as it is for the soul. Every month it chooses a local charity and donates 10% of its total sales. The entire menu is vegan (unless you choose to add dairy), and who says eating healthy has to break the bank? 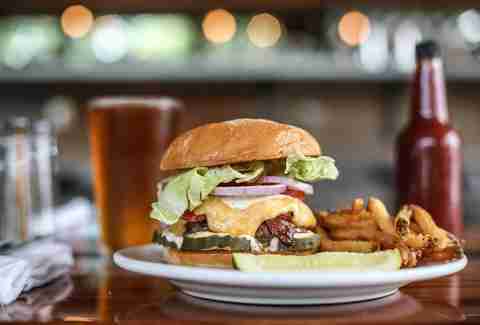 It offers deals like a high-gravity beer, veggie burger, and chips for $10. Thanks to Butcher & Bee, which opened last year, you don’t have to head for the border when in need of that fourth meal. The Charleston-based, mezze-style restaurant stays open till 1am on the weekends. For the late-night menu option, go with the KFC sandwich. Epice features Lebanese cuisine chock-full of exotic spices, herbs, roasted vegetables, whole grains, and fresh fish. Sample the vegetable brochette, the spiced fish with caramelized onions and vermicelli rice, or the pistachio-encrusted lamb, for the meat eaters. 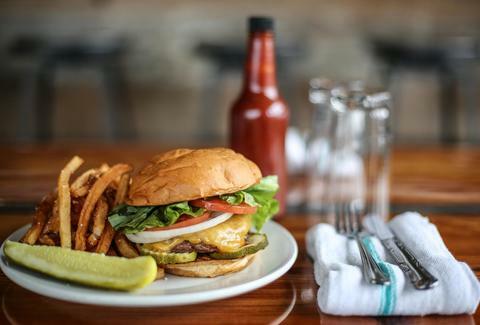 Burger Up sits atop many best-of lists for its beef burgers sourced from Triple L Ranch in Franklin, TN, but the Marathon Burger, made with quinoa and black beans, is one of the best veggie options in town. It also offers gluten-free buns and, if you want, will put your patty on any of its seasonal salads. Go for the chopped kale or beet & arugula for an even healthier dish. Coco Greens is a one-stop wellness shop where you can order a detox juice cleanse, pick up a healthy lunch to go, and even have your chakra balanced all during your lunch hour. The cafe features appetizers, salads, sandwiches, and vegan desserts you can order online and pick up anytime. Carb haters love the mac & squash, quinoa stir fry, and the raw zoodles and sauce. Calypso Cafe has served fast, affordable, and healthy food for more than 20 years. 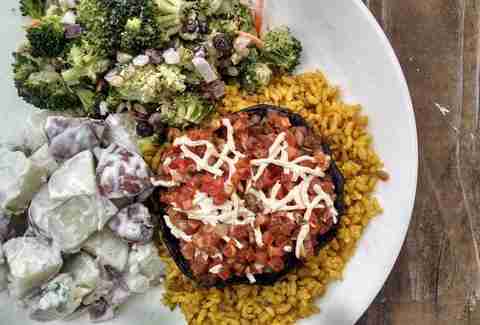 With three locations across Nashville, Calypso’s menu has something for every diet, whether you’re low carb, low fat, gluten-free, vegan, or vegetarian. The black bean salad alone covers 60% of your daily vitamin C needs. Throw in a signature fruit tea and I’m pretty sure you’ll reach 100%. This coffeehouse and casual restaurant focuses on locally sourced, seasonal ingredients, advertising “Nashville’s finest mix of organic, exotic & junk foods.” From breakfast to the nightly specials, the menu features fresh produce, dairy, and protein from farms across the region. The Tennessee nachos, Tennessee poutine, and the Local Burger are a few of our favorites. Any day you can devour a sandwich and not feel the least bit guilty about it is a good day. Sloco disregards the processed, mass-produced ingredients and fills each sandwich with only the best local, organic “real” foods. And you’ll only find produce that’s in-season. Order the vegan sub with quinoa meatballs, the slow-roasted veggie sandwich with marinated seasonal vegetables and tofu spread, or the vegan BLT. This franchise opened its first store in Brentwood in 2013 and now has expanded to six locations throughout Nashville (and several more across 14 states). 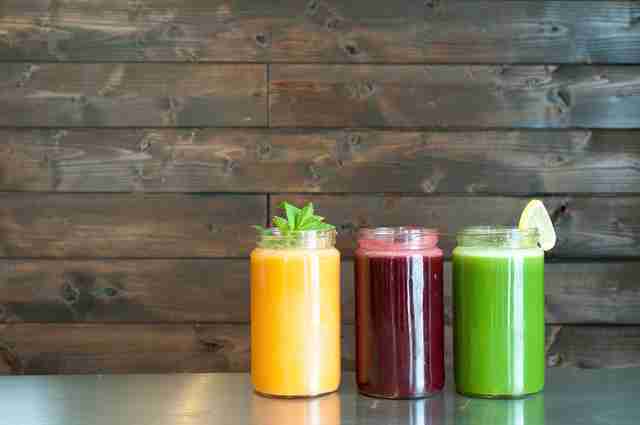 Juice Bar is the perfect stop for not only fresh-pressed juices, smoothies, and juice cleanses, but the ready-to-go foods are filling and delicious. Try the superfoods salad with kale, spinach, quinoa, sunflower seeds, and fresh lemon juice, the vegan pad thai, or the spring rolls, with the most addictive peanut dipping sauce you’ll ever have. Kendall Gemmill is a Nashville native who believes in a well-balanced diet: salad with a side of fries.